Trio World Academy is a highly reputed IB Day & Boarding International school for boys and girls. We are ranked among the top ten International schools in India. It aims to provide a broad and stimulating truly international educational experience . The heart of the school's aims is the intellectual, cultural and social development of all pupils in a context of mutual esteem and sensible good order. Trio World Academy offers IB PYP ,Cambridge - IGCSE and IB DP curriculum. Our students learn from an experienced, dedicated and enormously talented faculty and staff, who challenge, inspire, encourage and nurture. There is an outstanding musical tradition which leads to a wide range of music making, much of it of very high quality, mainly as an extra-curricular activity. Drama, sport and outdoor pursuits are also very strong. The House system engenders much purposeful activity: inter-House competitions and non-competitive ventures such as fund raising for a wide variety of charities. 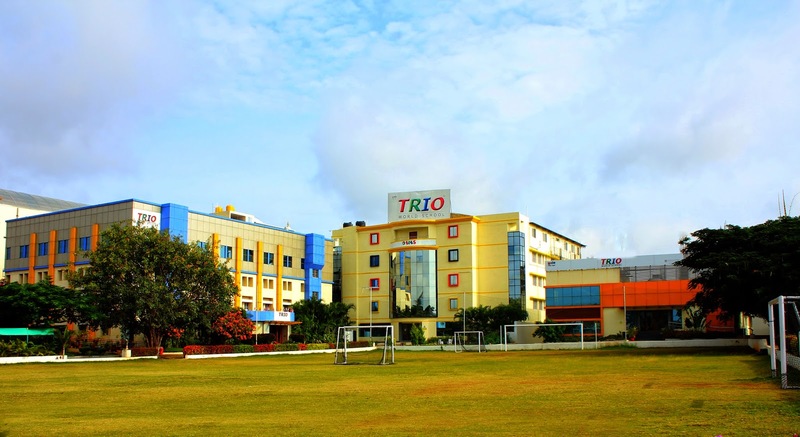 Trio World School also offers ICSE curriculum .We have a preschool chain named Trio Tots.